Why are cat snacks necessary? Cats love to eat cat snacks as they are a tasty get-away from their regular food. Apart from fulfilling the cravings of your cat, they can also serve certain other purposes. The cat snacks can be used as a positive reinforcement while training your cat. You can provide your cat with a tasty snack whenever it behaves properly and deprives it of the snack when it is being a “bad boy”. If your cat has developed a habit of hiding, you can also lure it out of this habit by offering it a tasty snack. The cat snacks are also quite helpful when your cat falls ill and you have to give them medications. Giving medications to a cat is almost the same as giving medications to a baby. So if you are having a hard time giving medications to your cat then just try using snacks as a disguise and you will be amazed at the results. 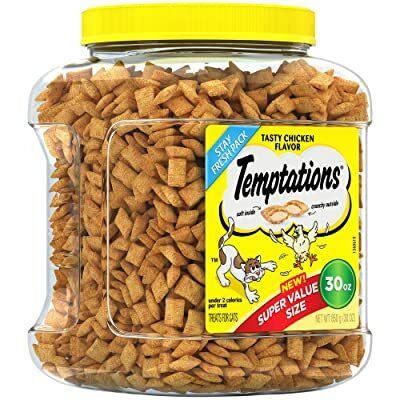 I have personally tried these Temptation cat treats and they are way much better than the other cat treats. 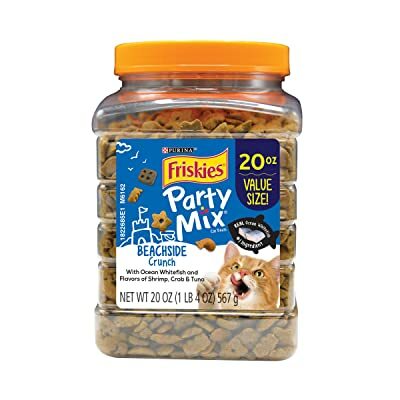 They are crunchy on the outside but smooth and creamy on the inside which makes them a perfect treat for your cat. These treats are highly addictive so once you start your cat on Temptations treats; it would be very difficult for you to move him back to his regular treat. If your cat loves the taste of shrimp, tuna and white fish then these Purina Friskies cat treats will prove to be a perfect treat for him. Available with completely balanced nutrients, these cat treats have various benefits. 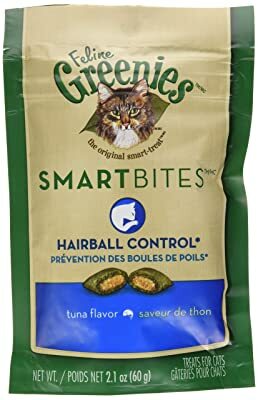 If you want to keep your keep on plant-based treats then these Feline Greenies Smartbites will prove to be perfect for him. Created from the pure plant extracts, these treats contain all the benefits of natural food items. Quite addictive for cats so if you start your cat on these treats then keep in mind that these treats might lure your cat away from his regular food. Some of the cats have thrown up after consuming these treats so it’s best to consult your cat’s vet before getting these treats because there is a possibility that these treats might not be suitable for him. 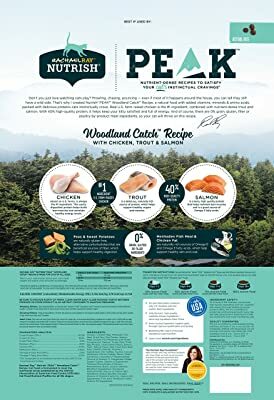 If you are searching for the cat food that is not only free from fillers but also free from additives and preservatives then this PEAK cat food from Racheal Ray Nutrish will prove to be perfect for your cat. If your cat likes to eat crunchy treats then these Purina Whisker treats will make him fall in love with his snack time. Available in tuna flavor, these treats are completely amazing and healthy for your cat. If you are currently training your cat then keep in mind that you are definitely going to need the treats that are stronger enough to keep him motivated for the training. Whether you are working on the behavioral aspects of your cat or providing him with potty training, a nice treat always works wonders. 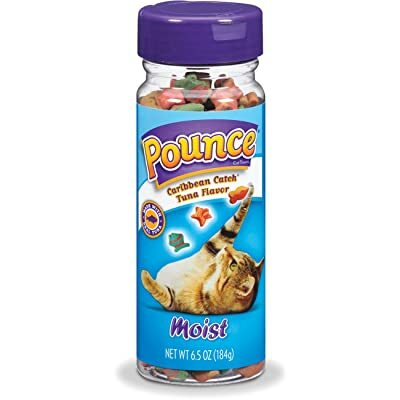 These amazing treats by Pounce are going to make the entire training procedure easier not just for you but also for your cat. 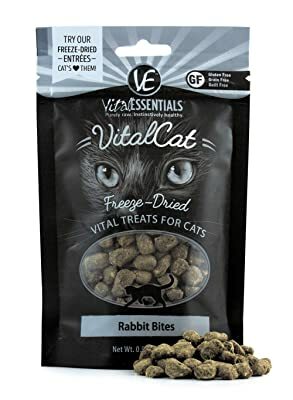 If you cat is tired of eating regular treats like tuna or chicken treats then we would suggest you try these new Vital Essential Freeze-Dried treats that only contain the rabbit elements and are 100% healthy for your cat. 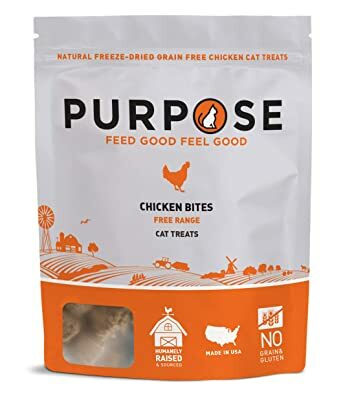 You must always keep in mind that cats are more tilted towards eating meat instead of vegetables or plant-based treats so if you are searching for purely meat-based treats then these cat treats from Purpose will be perfect for your cat. Most of the parents are quite particular about the cat treats, that they give to their cats so if you are also quite selective about the cat treats. 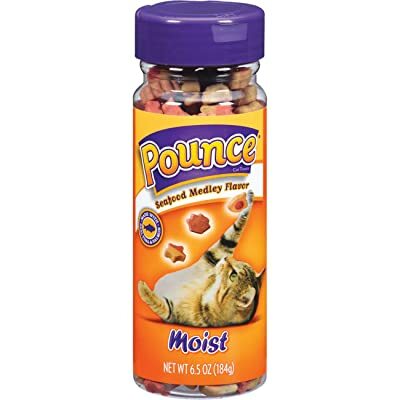 To provide them with the best then these Purina Fancy cat treats will be perfect for you. 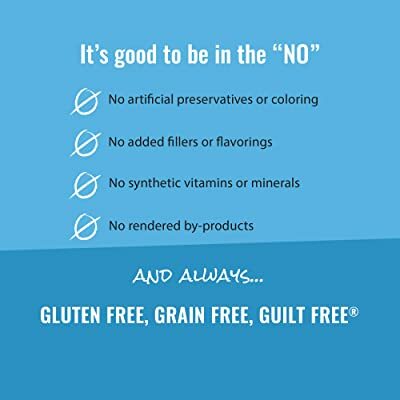 These hand-picked cat treats are not only safe for your cats but they are also quite healthy due to the presence of only one ingredient and that is “Chicken”. These cat treats are free from any sort of fillers or by-products. Remember at the start, we told you to look out for the presence of any sort of by-products in the cat treats because they could be harmful to your cat. These cat treats are healthy for your cat because they don’t contain any sort of by-products in them. These cat treats are also perfect for your cat if he is suffering from dental issues because they are quite tender. They are lightly cooked due to which your cat won’t have to bear the crispiness that comes with completely cooked cat treats. Due to their resealable pack, these cat treats stay fresh for a longer duration even after opening and re-opening them several times. 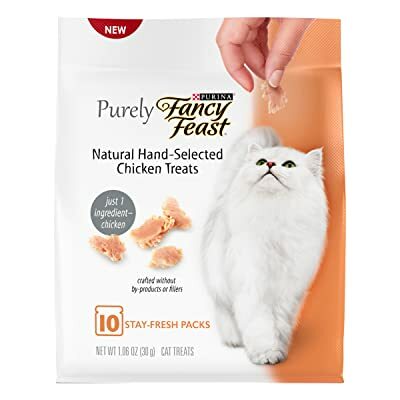 These treats are perfect for your cat if he loves to eat chicken or gets meat cravings at odd times. The texture is perfect for your cat as they are not too soft or not too hard. Some cats get great craving for salmon most of the time. 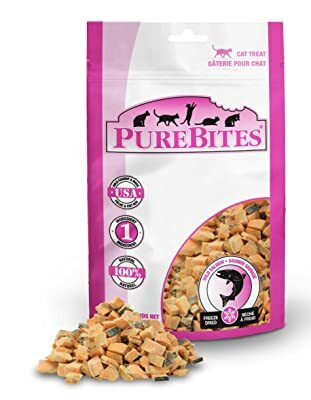 So if your cat is also getting these cravings then these PureBites Salmon Freeze-Dried cat treats will be a perfect craving-quencher for him. Apart from the high level of proteins, these treats also include Omega 3 and 6 Fatty Acids. If you are a true cat lover then you will definitely know the pure joy of having a little ball of fluff pondering over here and there in your house in search of cat treats. As soon as you get a cat, you have to become highly responsible and start thinking like a true parent. Taking care of the proper hygiene of your cat, its food and its vaccination requires a lot of planning. All things apart, food is the basic necessity for your cat, so if you are going to get some cat food then you need to make a careful selection. Most of the people think that cats don’t need any proper food, they can eat anything out of garbage or trash which is an absolutely false notion. The physiology of a cat is similar to a human being so it is clear that a cat also needs healthy food just like humans. Does the food has the necessary ingredients for your cat? You might be confused about what sort of ingredients might be necessary for your cat so we have discussed all the important ones in this part. The first ever nutrient that you must look for in your cat’s food is called protein. You might not get protein in cat snacks or dry cat food still. 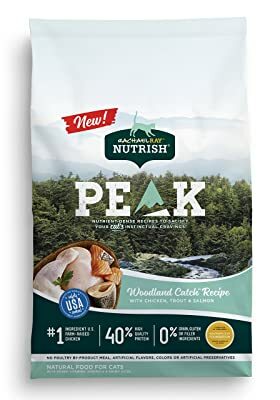 We can’t underestimate the importance of this nutrient for your cat and must try to provide the cat with this nutrient through some other protein sources such as chicken, salmon, and turkey. The second most important ingredient that you must look for in your cat’s food is carbohydrate. Carbohydrates are not considered to be an important ingredient for the cats as cats mostly thrive on meat and chicken. If you are feeding grains to your cat then we would suggest you to stop as grains such as wheat or corn can cause food allergies in cats. They just need certain types of carbohydrates in order to maintain balance with the dry food they consume. The carbohydrates they require are commonly known as fillers. The healthiest type of carbohydrate sources for your cat would be sweet potatoes, carbohydrates, and potato starch. Apart from proteins and carbohydrates, fats are also an important nutrient for your cats. Your cat might not get this nutrient from snacks but they will be able to get it from different types of oils that are usually found in their premium food items. You must also look for certain vitamins and minerals such as Vitamin C and Vitamin E that are added into the cat snacks. Last but not least, your cat needs Taurine which is an amino acid that is basically found in the human body. However, your cat needs this ingredient in its diet so it could lead a healthy life. The deficiency of Taurine can cause heart issues and retinal issues in the cat. So if you are searching for the perfect and healthiest cat snacks then do check for Taurine in them because they can’t be healthy without this nutrient. Apart from Taurine, protein, fats, certain carbohydrates, and vitamins, you must also look for fatty acids and enzymes in your cat’s food. You must also keep in mind to keep your cat properly hydrated and this is only possible if you provide it with a sufficient amount of drinking water. Nutrients are not the only thing that you need to keep in mind while getting cat food. There are certain other things that you need to check, for instance, you must not go for cheaper cat food in the market. Getting the cheapest cat food might sound convenient to you but it is not good for your cat’s health. Always keep in mind that when the price of anything is compromised then its quality will also be compromised. Cats need some essential nutrients that are not available in balanced form when they get to feed on cheap, low-quality foods. The lack of proper nutrients will prove dangerous for your cat in the long-term when it might experience some serious medical issues. You also need to check the label of the cat food packaging in order to determine whether it is prepared in compliance with AAFCO’s requirements or not. This is very important whether you are getting cat snacks or canned food because AAFCO has laid some important requirements that are necessary for your cat’s health. You must also check for the expiration date of the cat food that you are getting for your cat. There are also certain things that you need to avoid while purchasing cat food. For instance, if you find the words like “animal digest” or “by-products” written on the pack of any cat food then you must not go for such food items. Also, avoid going for certain chemical preservatives such as BHA or BHT. We selected all the cat treats that are most trending in the market right now so if you are having a hard time selecting the perfect cat treat for your cat then these cat treat reviews might help you a lot. However, we would like to provide you with some honest suggestions regarding the selection of cat treats. While selecting a cat treat you must keep in mind that every cat is different and possesses different requirements when it comes to food. Even though all of the cats are carnivores but they tend to show attraction towards different forms of meat. So when you are selecting the cat treats, select the ones that actually tempt your cat. Getting rabbit-made cat treats when your cat actually loves chicken-made cat treats won’t help him much so go for the flavor that your cat likes. Apart from going for the perfect flavor, select the cat treats that possess natural ingredients and all the essential nutrients in a balanced form. Last but not least, you must try to avoid the cat treats that contain additives or preservatives because your cat’s life is too precious for you.